In the early afternoon of Tuesday, January 30, the police charged and drove a group of workers away from the gates of GDN Logistics of San Cipriano Po (Pavia). They were demonstrating in front of the company's gates to ask for an end to dismissals and suspensions (therefore for reinstatement) carried out by the company against some of their colleagues for the simple fact they were "registered with Sicobas". The strike began in the early morning, and the police charge took place after more than 10 hours of blockade in which protesting workers prevented the entry of trucks to the warehouse units. The union explicitly speaks of “the repressive policies of the bosses’ reaction" with "the complicity of the Prefecture of Pavia" (in this case), something that has been repeated throughout Italy "against the most combative workers". Three workers were injured, helped by the emergency services and treated in the emergency room of the city hospital, among them a 29 year old woman. Half an hour later, one hundred workers demonstrated in a march on the town hall in the centre of Stradella in solidarity with the attacked colleagues. So does this mean we cannot and mustn’t struggle to improve our economic conditions? Not at all: we must struggle all the same, and in a determined, resolute way, organising ourselves and uniting together, but always maintaining, or acquiring, the understanding that, in the context of this global crisis, the bosses are not ready to grant anything lasting or concretely helpful. “Mors tua, vita mea, your salary against my profit margin, the cost that you, worker, constitute for me against my profit”: these are the terms of a confrontation that the crisis is sharpening and making increasingly fierce. How can we still consider the State and its bodies, which are guardians of so-called public order, as a neutral body standing above all classes that can in some way be compelled and used to protect those who work? For decades, the State has been giving contracts, bonuses, tax breaks, grants for hundreds of billions, to the bosses on the one hand, and on the other hand it provides workers with laws which make their jobs more precarious (Treu law , "Biagi" law,  Jobs Act , vouchers, etc. ), alongside drastic cuts in indirect wages (the welfare state) and deferred wages (pensions). 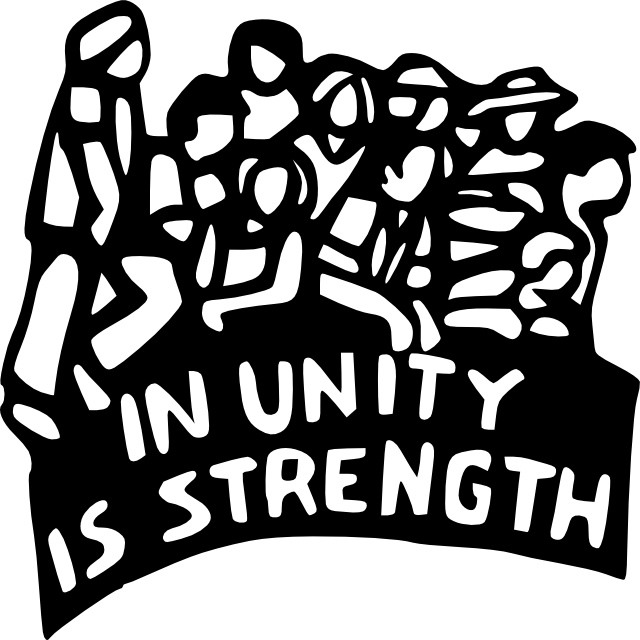 The road, therefore, of unity against any attempt at division and opposition perpetrated by both the bosses and the trade unions (whether traditional or rank and file) is also carried on by the State. They aim to weaken the only weapons workers have, our our solidarity and unity: by making false distinctions between young and old, Italians and foreigners, public and private, privileged and marginalised, from the north and the south, permanent and temporary, etc. Those who work, those who support and run everything in society must direct it politically. Its infernal operating mechanism exclusively aimed at the profit of the few produced on the backs of many has to go. Capitalism has to be destroyed politically everywhere in order to build true communist society. Latin for “your death, my life”. Named after Marco Biagi, labour adviser to the right wing Government of Berlusconi. He was gunned down by the “new Red Brigades” in Bologna in 2002. The law which bears his name made it easier to sack workers, and passed the task of matching workers to jobs from the state to private agencies. It was passed in 2003. All in the name of the “flexibility” of the labour market. Adopted in 2014 by the Democratic Party’s Matteo Renzi to the universal applause of the IMF and Italian capital. It also promotes “labour flexibility” by making it easier to change workers’ contracts and sack people as well as reduce the old system for helping those laid off.